Itching to travel somewhere to ride horses this holiday season. Here are some good options for holiday fun on horseback! Always wanted to ring in the New Year with equestrian friends in a far flung location. Now's your chance! 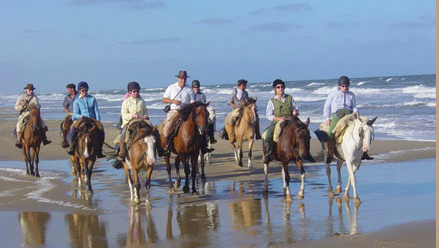 Can't make it away this holiday season, check out other great Horseback Riding Vacations and Equestrian Travel Deals. Finish the year riding under the famous sun of Provence, France. Day and half day rides in the Luberon Regional Nature Park's forests, along vineyards, olive and other fruit orchards. Hot picnics will be brought to you at picturesque spots on the trail. Spend nights at the Mas de Recaute farmhouse and enjoy apéritifs with Didier, your host, in front of the fireplace. Exceptional diinners prepared by Chef Gaël and for New Years Eve, a memorable Provencal dinner and party. 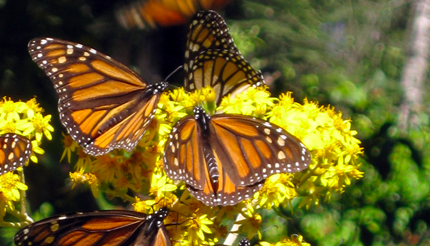 Delicious Mexican food, Monarch Butterflies, never ending views of mountain ranges and spectacular sunsets. 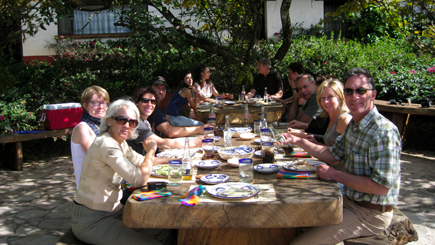 Have a margarita and listen to the typical Mexican music of the "mariachi" after the day's ride. The farewell New Year's dinner on December 31st is at one of the best restaurants in town. 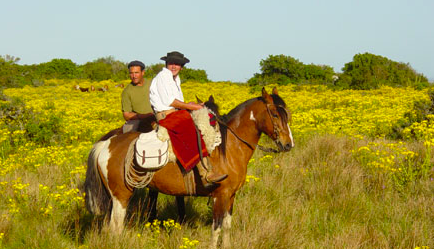 Enjoy seven days of varied riding in exceptional scenery on this special December and January holiday adventure in Uruguay. Escape North America's winters for long, warm days in Uruguay. The ride starts in the rolling hills, staying at a small working farm in outstanding countryside, where you'll help the gauchos with cattle work and then ride to an estancia in an idyllic location on the edge of a lagoon. 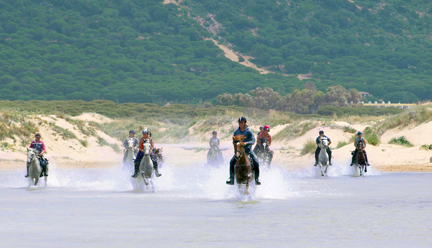 Riders enjoy long gallops on pristine beaches and also riding through forests to a old Spanish fort. Excellent horses, comfortable lodgings, delicious food and incredible hospitality - including the ever helpful gauchos in their traditional dress- all add together to make this an unforgettable experience. Christmas at the beach in Spain! Ride Spain's coast through a mixture of forest, beach and countryside trails. Stop at various different local tavernas for lunch. There will be plenty of long canters and exhilarating fast gallops. Thursday is a day off from riding to visit the city of Jerez the horses at the Royal Equestrian School. Contact Equitrekking Travel's Preferred Provider of Travel Services Julie Snyder with questions or to book a trip by email or phone at 877-490-7786. 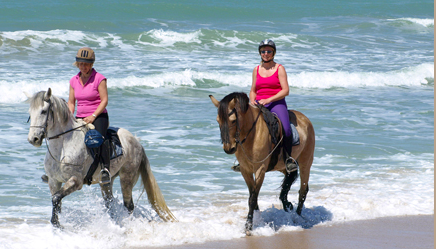 A fellow equestrian and longtime Virtuoso Travel Agent, Julie can help match you, your family or group with a riding vacation and suggest options for non-riding companions. Plus, when you book with EquitrekkingTravel.com, you receive future trip discounts, a subscription to an equestrian magazine, DVD sampler, cool hat and more!